Dundee’s pre-season campaign opened with a 1-1 draw against Brechin City at Glebe Park. The Dark Blues fielded completely different teams in each half, using 23 players in all. There was no score at half time but Jean Alassane Mendy gave the Dee a deserved lead early in the second. Defensive slackness allowed a Brechin trialist to equalise in the host’s only serious effort on goal. Dundee pressed for a winner, but a hard working Brechin side held out for a draw. Kicking up the hill towards the away support the Dark Blues dominated the opening stages without creating serious problems to a well organised Brechin defence. The Dee were trying to play a neat passing game through the midfield, but some crisp passing usually ended with poor final ball. The first serious effort on goal came from Genseric Kusunga after 18 minutes. His looping header from Nathan Ralph’s corner looked to be dipping into the net but came back off the crossbar. Dundee’s passing in the final third didn’t become more penetrating, but some energetic running and pressing started to force mistakes and gaps in Brechin’s rearguard. In a prolonged scramble neither Sofien Moussa nor Cedwyn Scott could force the opening goal home after Jack Lambert nicked the ball off Spark in the penalty area. Scott went close when his hooked shot dropped over the crossbar after goalkeeper O’Neill dropped the ball under pressure from Moussa. Brechin escaped in another goalmouth stramash after Kharl Madianga’s low shot was blocked. 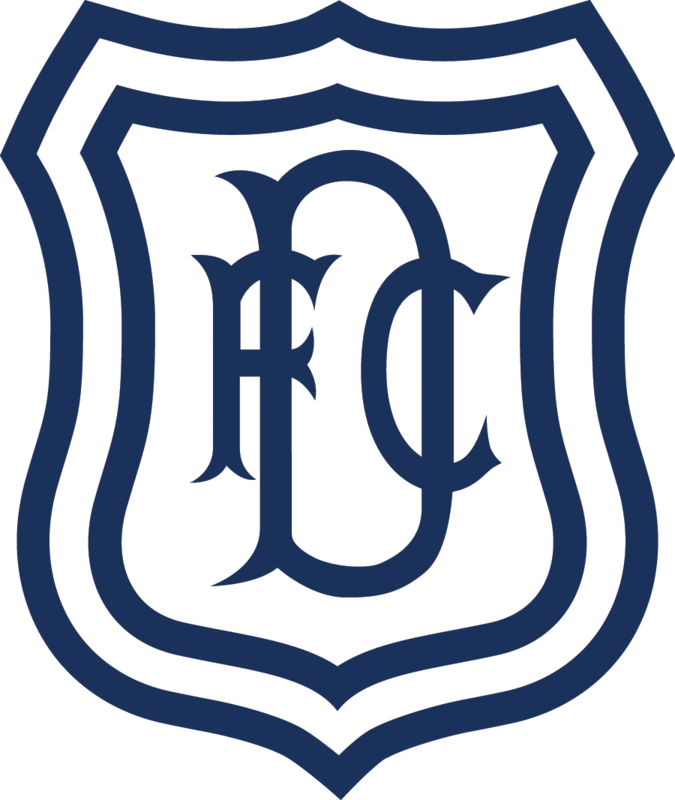 Dundee’s pressure continued when the second half team took over. Randy Wolters saw a ferocious drive blocked and Steven Caulker’s follow up from the edge of the penalty area was deflected into the keeper’s arms. The Dark Blues’ pressure paid off after 59 minutes when Wolters’ free kick from the left took a slight deflection on its way to Jean Alassane MENDY who scored with a firm near post header. 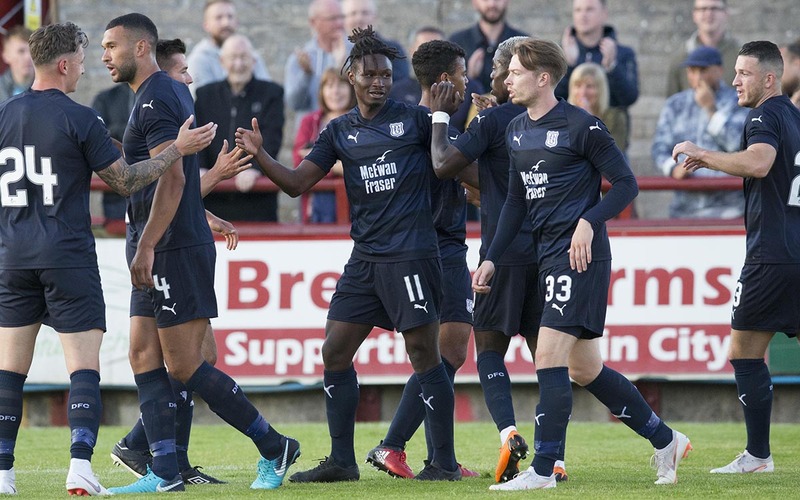 Dundee were well on top and seemed sure to add to their lead, but a fleeting loss of concentration allowed Kalvin Orsi to get in a cross from the left that sailed over Jack Hamilton for a trialist substitute to volley the equaliser from close range. The goal spurred Dundee back into further serious attacking and Josh Meekings went close twice. The ball broke to him from a free kick, but Paddy O’Neill pulled off a superb reflex save. Meekings then went close with a header from a corner. There were some nice touches on show as Dundee sought a winner, but Brechin stood firm to earn their draw. This was a good workout for the players as the newcomers settle into the club. The game also saw first appearances from Callum Moore and Max Anderson in the first team. It might have been a friendly, but it was played in a tough and competitive spirit, helped by a referee who preferred to talk to the players rather than book them as he might have done in a competitive match. All the new lads showed some of the qualities that prompted Neil McCann to bring them to the club and they will have benefited from this, the first of two friendlies before the squad heads to Portugal. First they have an appointment in Cowdenbeath on Monday night for friendly number two. Referee: Mike Roncone. Assistants: Calum Spence, Filippo Mazzoni.